Hot on the heels of news that Caesars Entertainment has received at least a couple of unsolicited offers for its interactive gaming unit Caesars Interactive, which includes (among other properties) the World Series of Poker and WSOP.com, Caesars has announced that it has filed amendments to the official bankruptcy and restructuring plan for its beleaguered Caesers Entertainment Operating Company [CEOC] unit. The news came via a filing by parent company CEC on Thursday, amid a busy few weeks in the ongoing CEOC bankruptcy matter. 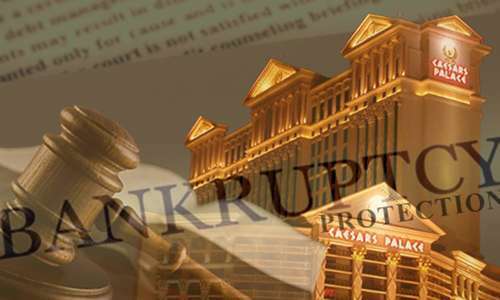 The Chapter 10 bankruptcy plan for the CEOC unit has increasing appeared to be a doomed proposition following a series of legal and procedural decisions which have gone against Caesars’ preferred plans for CEOC and the rest of Caesars, and in favor of an aggrieved group of corporate investors who stood to take a severe hit if the original CEOC restucturing plan had been approved. In that light Thursday’s amendments and modifications appear to be an official olive branch toward some of those creditors, who collectively have mounted several legal challenges to the CEOC bankruptcy. The distribution of up to 47.5% of common stock in New CEC (including common stock convertible through the New CEC convertible notes). Despite the floated talk of a possible merger between conglomerate parent Caesars Entertainment [CEC] and Caesars Acquisition Company [CAC], which is in turn an intermediate owner of the Caesars Interactive unit that has drawn outside interest, the proposed amendments do not change or affect the core complaint brought by the aggrieved creditors: That a large number of Caesars’ lowest-performing properties were shunted into the CEOC shell, thus to leave those “second lien” creditors holding the reins of about $10 billion of debt. Above all of this, the desperate battle being waged is whether or not original investment groups Apollo Management and TPG will remain in control. Apollo and TPG put together the highly-leveraged deal that took the original Harrah’s Entertainment private last decade. [Harrah’s, after a subsequent name change to Caesars, was refloated as a public-traded company years later.) Yet when last decade’s real-estate bublble collapsed, the Harrah’s/Caesars deal was all but doomed, saddled with nearly $20 billion in debt and a huge pile of notes the company could never realistically have paid. That hearing, scheduled for Wednesday before Illinois bankruptcy judge Benjamin Goldgar, will touch on several related matters. CEC, though, acknowledges that the latest amendments as filed to the CEOC reorganization plan are not likely the final changes that will be made… if the whole CEOC Chpater 10 filing doesn’t end up being scrapped in its entirety.